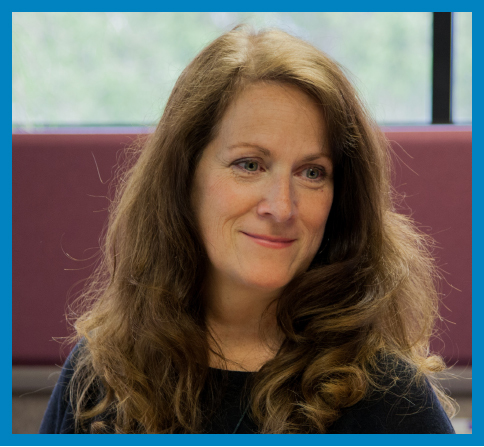 Community Mental Health of Ottawa County partners with people with mental illness, developmental disabilities and substance use disorders and the broader community to improve lives and be a premier mental health agency in Michigan. 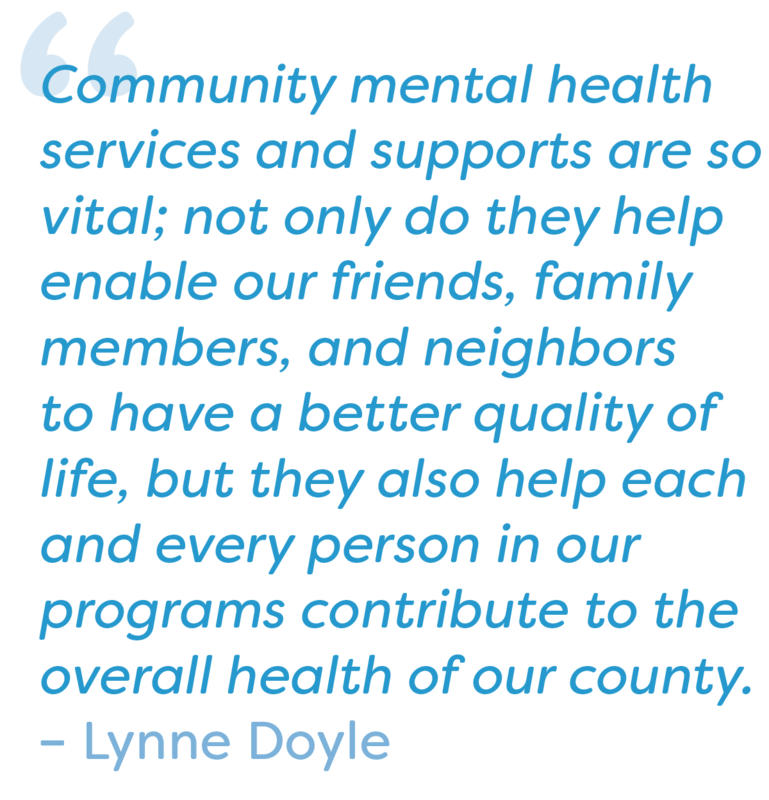 One of our values at Community Mental Health of Ottawa County is service in the accomplishment of our mission. We hold it as a basic value to treat each consumer as a customer; to do all we can, within the bounds of state and federal laws, regulations, policies and budget, to meet requests for service. Service is what we do here at CMHOC and we do it well. 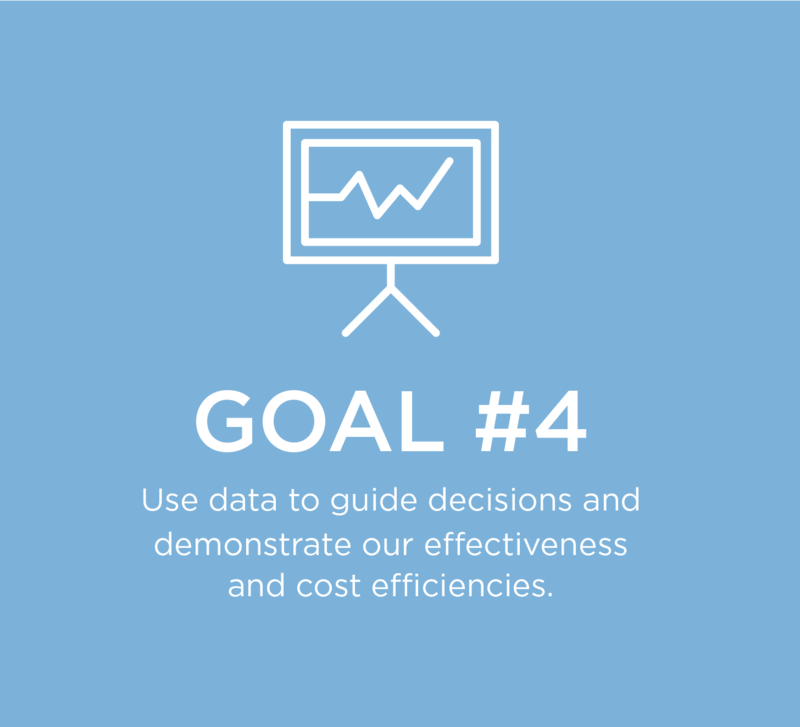 With very few exceptions, we meet State quality indicators, we pass annual audits, and we receive positive feedback on customer satisfaction surveys.  Our staff, contractual providers, and Board members are responsible for providing and ensuring this quality service and I thank them for their outstanding efforts. It is, however, becoming more and more difficult to meet the demand for services. 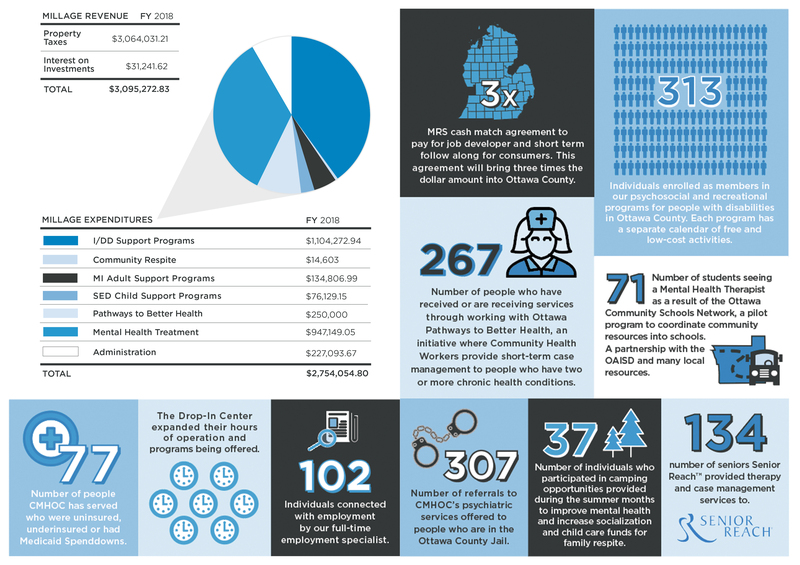 Michigan’s public mental health system is one of the most comprehensive and advanced in the country. 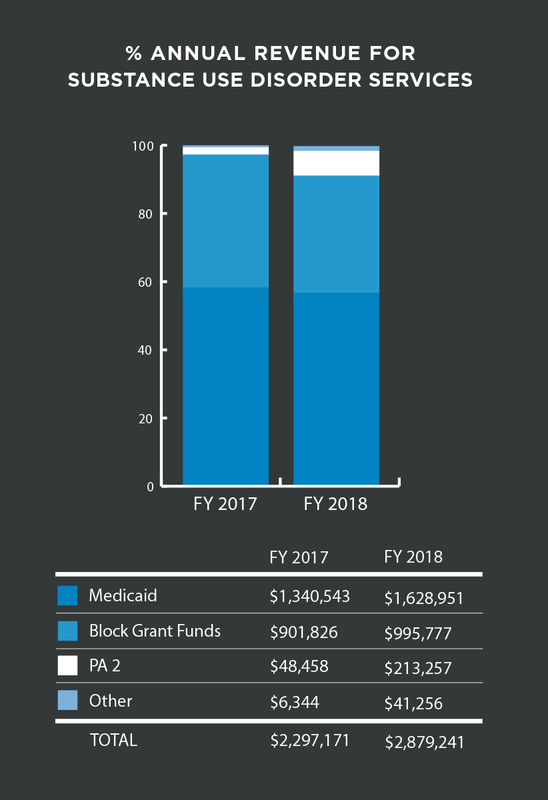 Over the past several years, a number of financing decisions have systematically eroded the ability of the public mental health system to meet the needs of those we serve while similarly eroding the fiscal stability of this public system. 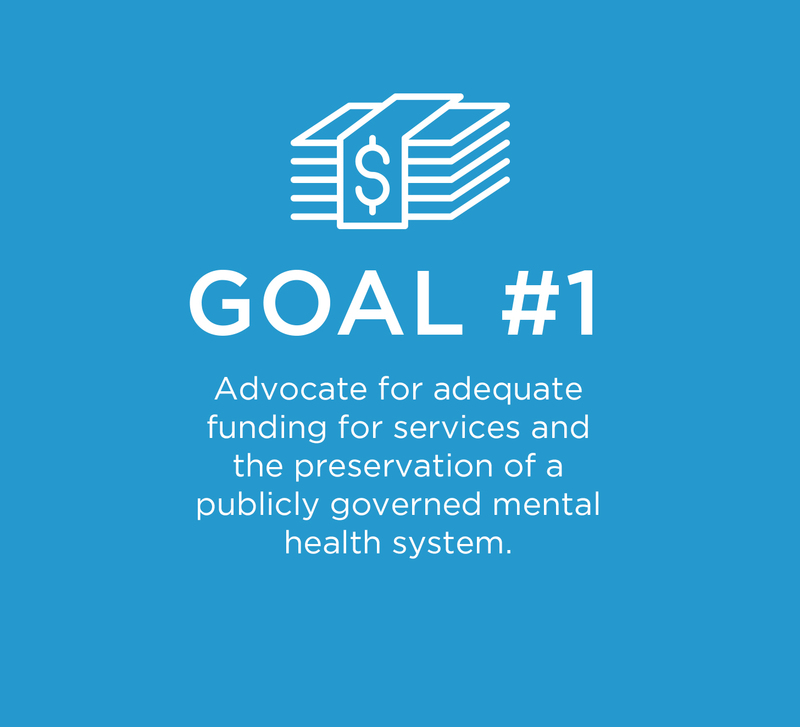 There is a growing demand for mental health services and there must be adequate funding and a sustainable, effective system in place to address these needs. If you believe in these statements I encourage you to make your voice heard. 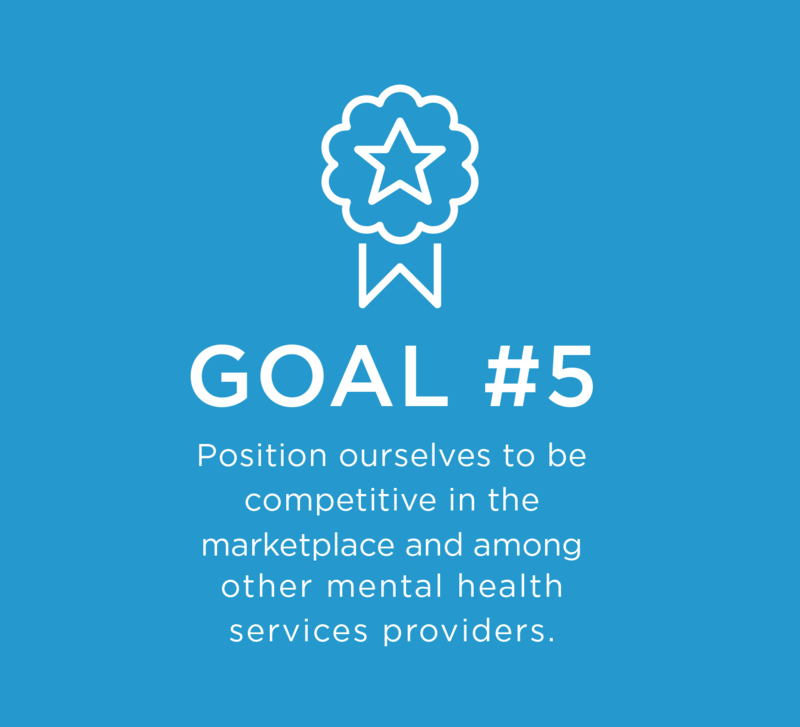 The Community Mental Health Association of Michigan (https://cmham.org) is a good resource for information and help with advocacy as well as our website (www.miottawa.org/Health/CMH). Many times, those with disabilities are not able to get out or get involved in the community, affecting their ability to build social skills and relationships and leaving them feeling isolated, and often depressed. Realizing there was a need to help these individuals, but having no means to do so, CMHOC reached out to our community asking for help - and the answer was a resounding yes! 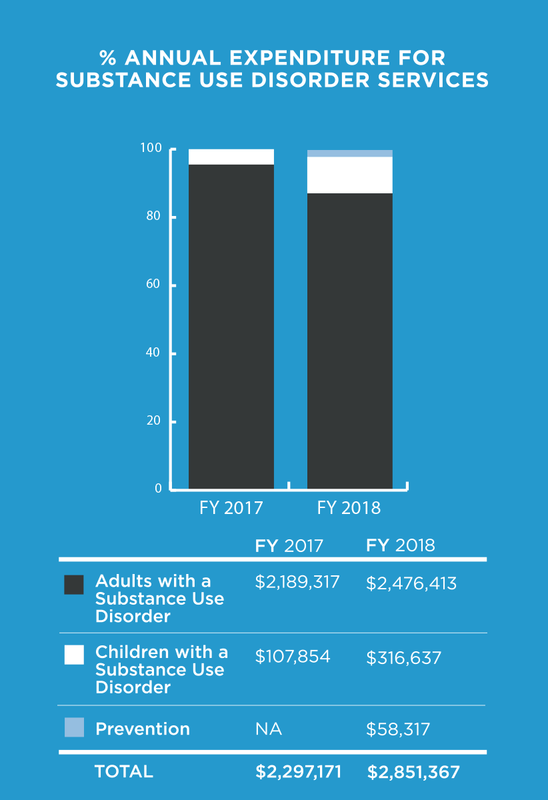 The Mental Health Millage passed with an overwhelming amount of support from the citizens of Ottawa County, and because of this generosity and compassion, our Social Recreational Program was created, and has already made a huge impact, changing the lives of countless people. The Social Recreational Program provides opportunities that many participants wouldn’t otherwise have - opportunities to meet and interact with others, to give back to their community, and develop social skills, as well as friendships. If the program didn’t exist, participants would never be able to do these things. There are even some activities that are first-time ever experiences for them, such as going on a boat ride or simply going swimming, because they weren’t able to be accommodated before. Open to Ottawa County residents 18 years and older, events cover a wide range of activities, organized with participants’ interests in mind - from going bowling, fishing, and dancing to attending sporting events like Griffins and Whitecaps games, or staying on site for monthly birthday parties, music therapy sessions and crafts. Individuals can sign up for whatever they like, and even take part in charitable, volunteer events allowing them to pay it forward and take pride in helping others. In many cases, participants are not only developing social skills and relationships, but are finding hobbies and passions they didn’t even realize they had. 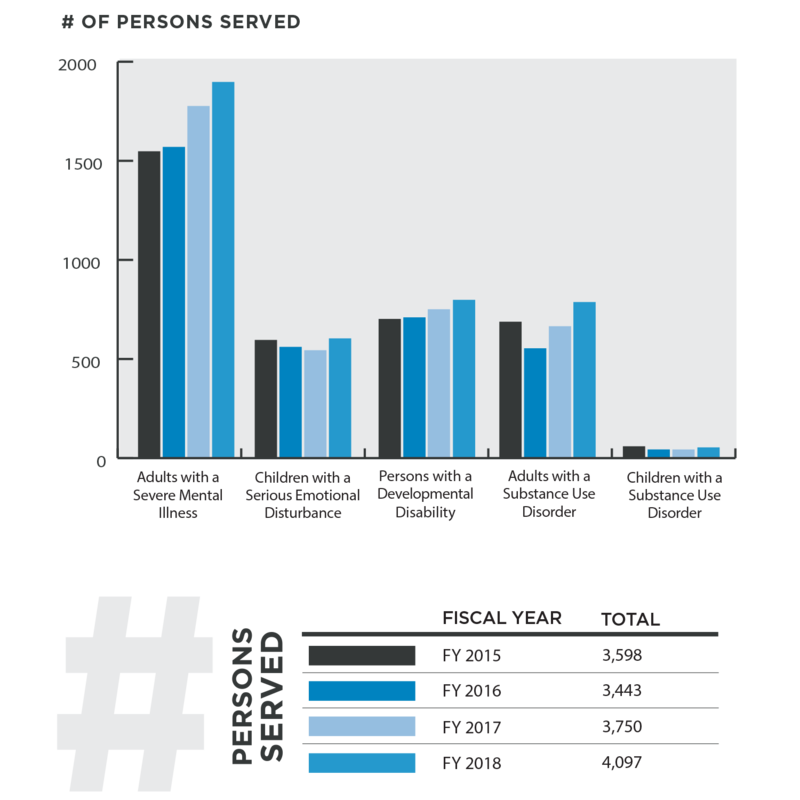 At CMHOC we have recognized the importance of physical health and how it can impact behavioral health. 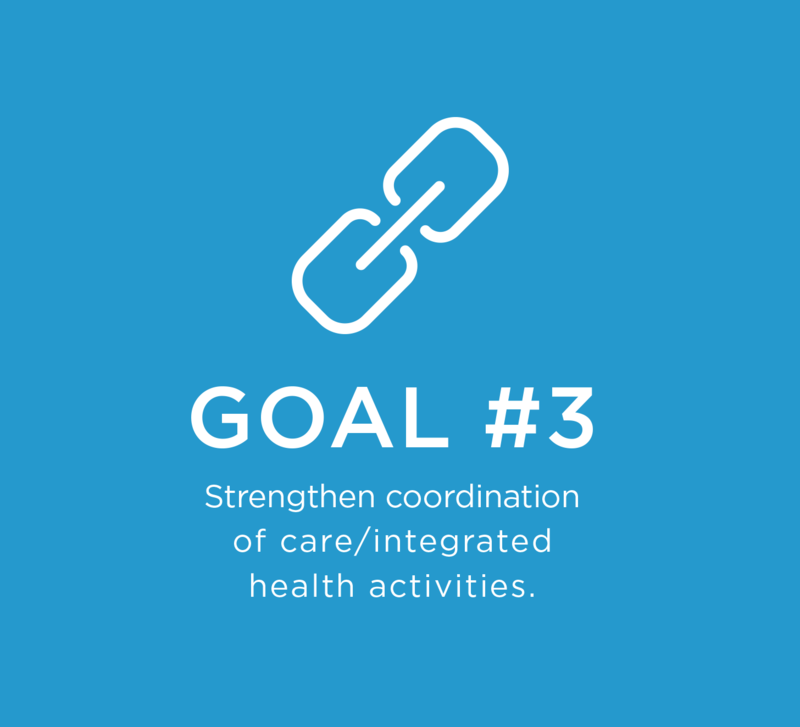 We have worked hard to incorporate physical health interventions into our behavioral health treatment model to create a more integrated model. The integrated health initiative has grown significantly at CMHOC, and we have done this by developing partnerships with other local agencies and departments in order to broaden the services we offer on site. Our first partnership was with InterCare Community Health Network’s Mobile Health Clinic. 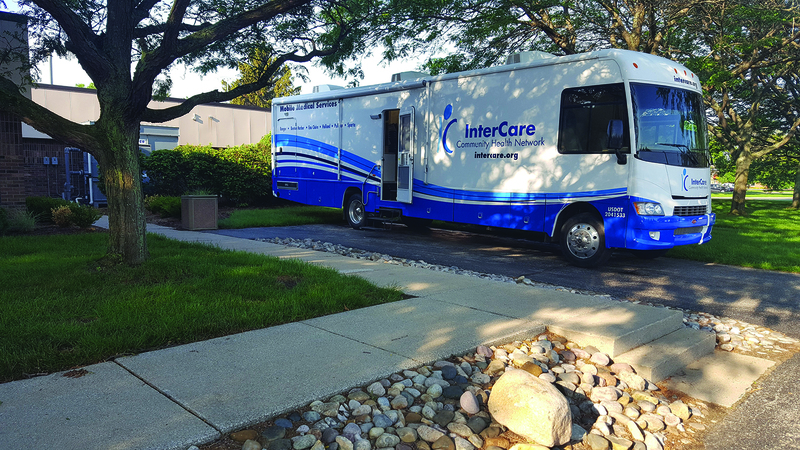 This mobile primary care clinic parks at our office two times a month and over 90 consumers have received primary care through the mobile clinic. 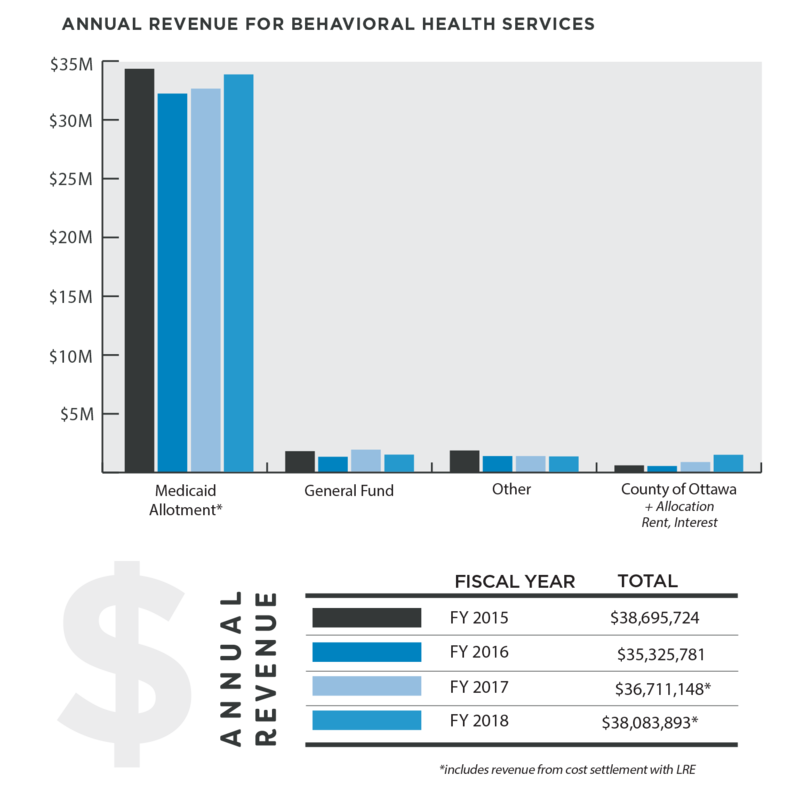 Services have ranged from addressing chronic conditions like diabetes, high blood pressure, and high cholesterol to acute conditions like a broken foot. Another partnership is with the Ottawa County Department of Public Health’s Miles of Smiles Dental Van. The dental van has provided needed dental health service to our consumers starting in June of 2018.In total over 55 consumers have received dental care through the Miles of Smiles program. 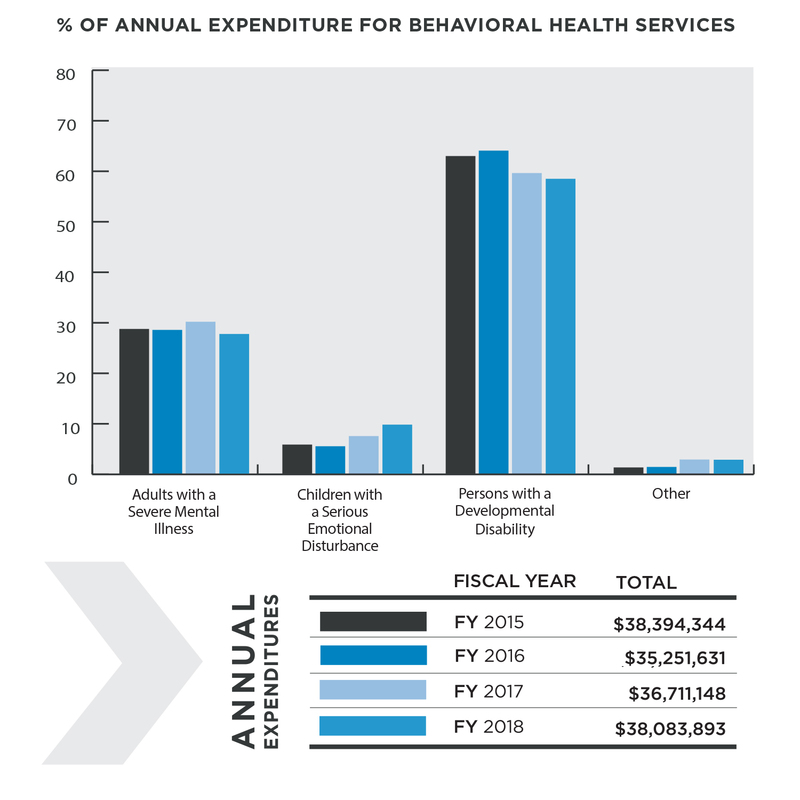 It is exciting to see how the expansion of integrated health services that are convenient to the people we serve can improve a person’s mental and physical health.